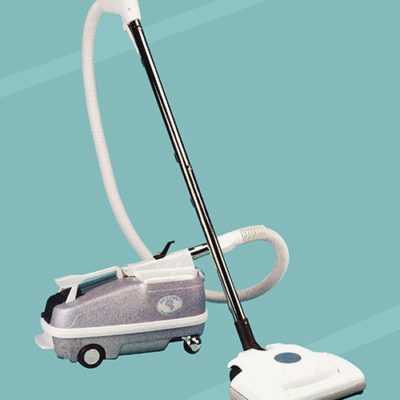 There are many residential and commercial HEPA vacuum cleaners on the market that boast how great they are! The truth is that almost all of them are low quality, low power, unsealed leaky vacuum cleaners that actually spew dust and allergens into the air you breathe while you are vacuuming your home or office space! Is Your Vacuum Cleaner Really A Contaminator ? NOTE THIS: Why do you dust off your furniture and hard surfaces after you vacuum? Has it hit you yet? Its because your unsealed vacuum cleaner, HEPA filtered or not is leaking (SPEWING) a good amount of the dust and allergens back into the air of you’re living and working indoor air environment to breathe and react to while you are vacuuming in your quest to remove the very same dust and allergens! Its easy to check out your vacuum cleaner for leaks! Just take your vacuum cleaner and place it into a beam of sunlight coming through your window and then turn it on! You will most likely see your vacuum cleaner SPEWING tens of thousands of particles of dust, dead skin, Dust Mite allergen, bacteria, pet dander, cleaning chemicals and pesticides into that beam of sunlight coming through your window! Do you now believe that your vacuum cleaner is really a contaminator? Do you want a lot less dust, allergens and other contaminants in your home and in you and your family’s lungs for much better dust, allergy and asthma control? The Air Storm residential / commercial HEPA vacuum cleaner Made In The USA (California) is a powerful 100 percent sealed canister HEPA vacuum cleaner for both residential and commercial use! The Air Storm will pass a zero laser particle count test at 99.97 percent of efficiency down to .03 microns of particle size! Nothing but clean air will exhaust from this sealed like a drum lightweight HEPA vacuum cleaner! You can fill the dust bag to the very top with sand or dirt and this vacuum cleaner will not loose any suction or cleaning ability at all! This is for real and there is not another unit that compares to the Air Storm residential / commercial HEPA vacuum cleaner anywhere on the market! Also this unit is made to last and give you great service for 35 years! For more information on the Air Storm CLICK HERE or click onto the image of the Air Storm.